Primal JERKY PORK CHIPS INGREDIENTS: Pork Heart, Honey, Sea Salt. 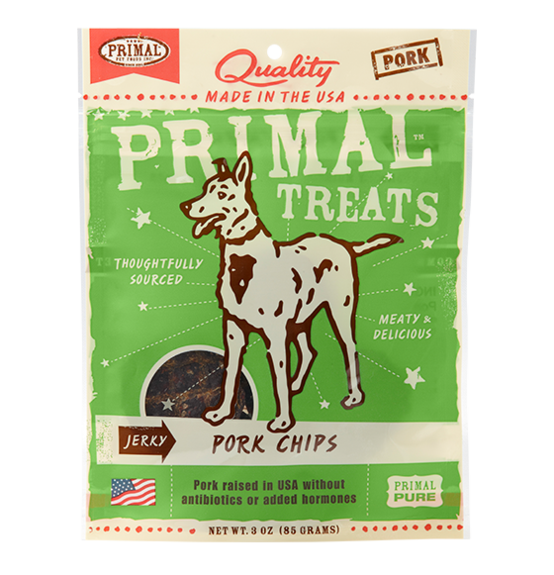 GUARANTEED ANALYSIS: Crude Protein (min) 37% Crude Fat (min) 23% Crude Fiber (max) 7% Moisture (max) 21% ADDITIONAL PRODUCT INFORMATION: Pork Heart 97% Sea Salt < 1% For Dogs FEEDING: We recommend feeding our treats as a wholesome snack or training treats for dogs. Be sure to only feed appropriately sized treats to your pet. Always monitor your pet when feeding treats. 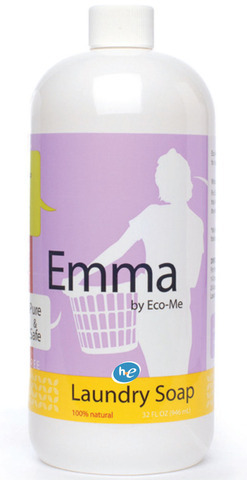 STORAGE: For optimum freshness after opening, store in a cool, dry place. Be sure to remove air from bag and seal bag completely after feeding. For jerky treats, keep refrigerated and serve within 14 days after opening for optimum freshness. 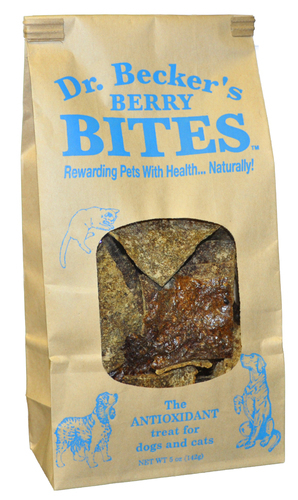 If jerky treats are kept un-refrigerated after opening, serve within 3 days. SAFE HANDLING: Always wash your hands with hot, soapy water after handling. Not for human consumption. Keep away from children. These products are intended as treats only. Primal treats are not complete diets.